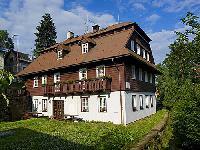 The pension is located in Harrachov-Sachrův kopec near a football pitch. 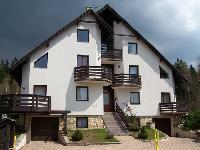 Accomodation in apartments or in single rooms with sanitary facility, dining rooms, kitchens. 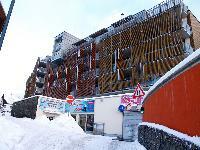 New, modern equipped Pension situated 200m from skiing sites and city’s centre. 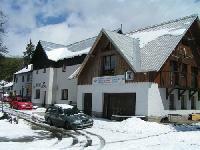 Accommodation in Wellness hotel Svornost*** Harrachov is located 5 minutes’ walk from the town centre of Harrachov and 10 minutes’ walk from the chair-lift to Certova hora (Devil’s mountain). 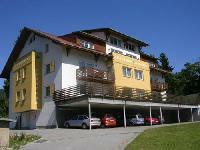 Each apartment has its own equipped kitchenette, shower, toilet, satellite TV, wifi. Quite location next to forest. 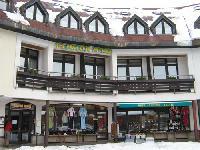 Resident Harrachov is your second home in the mountains. 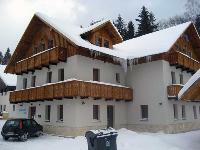 The house is situated right next to the city center though in the very private and quite part of Harrachov. 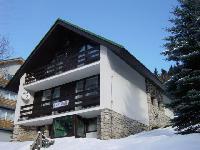 Apartment's accomodation - suitable also for larger groups, own parking space.